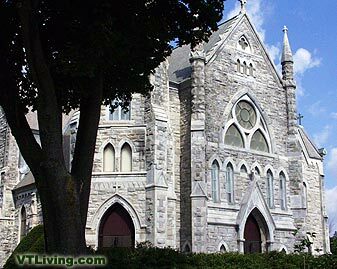 Bennington, Vermont is a town in Bennington County and one of two shire towns for this county of Vermont. Historic Bennington in southwestern Vermont, was chartered in 1749 and grew on the shores of the Walloomsac River. Bennington includes one village, Old Bennington. Bennington, Vermont is a commercial center for the surrounding agricultural area and comprises the villages of Bennington, Old Bennington, and North Bennington. The Bennington Monument is a U.S. Historic Site in Old Bennington. Located just south of Manchester, Bennington attracts visitors seeking a year-round vacation destination and Vermont outlet shopping venues. Bennington acts as a major gateway to Vermont from New York State via Rt. 9. 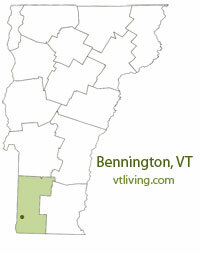 To share any Bennington, VT information, contact us. Learn more about advertising in VTLiving. The town is home to Bennington College, Southern Vermont College, the Bennington Museum is a major attraction. 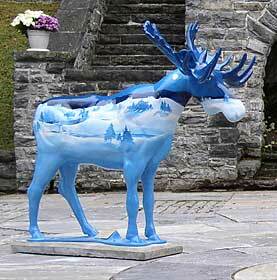 The Bennington Museum is known for its collection of Grandma Moses paintings and other early Americana. The famous Bennington Monument in Old Bennington is national historic site and the tallest structure in the state of Vermont. The monument commemorates the Battle of Bennington which took place during the American Revolution. Bennington is where the Catamount Tavern once stood. It was at the Catamount Tavern where Ethan Allen and Seth Warner formulated the Green Mountain Boys and helped to establish the State of Vermont. 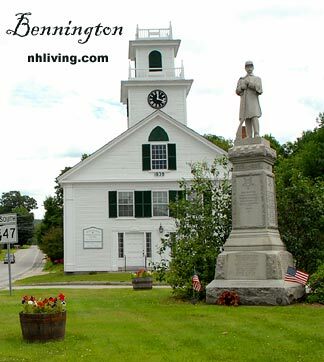 Bennington is named for Benning Wentworth, a British governor of New Hampshire, and is home to the William H. Morse State Airport, The Bennington Banner daily newspaper, and Pennysaver Press weekly newspaper are published here. Author Anne Charlotte Lynch Botta was born in Bennington in 1815. Botta was an author of poetry and critical essays. She also hosted the first important literary salon in America. Her literary events were attended by Ralph Waldo Emerson and William Cullen Bryant.